13:42 Luoman shares are suspected of inflating income, and the collection, storage and sales are abnormally connected. 10:34 Private Equity Weekly: A total of 101 incidents involving investment, listing and mergers and acquisitions this week involved a total amount of RMB 47.414 billion. Kechuang board came, how does the new three board respond? He Rui Saier is a guest of "China New Third Board"
[Introduction] The new three boards will come out with supporting policies to introduce QFII and RQFII into the market. [market] Heavy! There are also four three-board companies entering the listing counseling period. [industry] The science and technology board is coming! What is the impact on the New Third Board? [the company] These new three board companies are not bad money, take 16.7 billion to manage money. Shenzhen Innovation Investment Group Co., Ltd.
Beijing Capital Venture Capital Co., Ltd.
Wuhan Jingkai Investment Co., Ltd.
BOC Guangdong Finance Investment Fund Management (Guangdong) Co., Ltd.
CITIC Investment Holdings Co., Ltd.
Zhenjiang Gaoxin Venture Capital Co., Ltd.
1. What is the new three board? 4. What is the outlook for the new three board? What is the new three board? The “New Third Board” market originally refers to the pilot project of Zhongguancun Science Park Unlisted Co., Ltd. entering the agency share system for transfer, because the listed companies are high-tech enterprises and different from the delisting enterprises in the original transfer system and the original STAQ and NET system listed companies. Therefore, it is called "the new three board". The significance of the new three board is mainly for the company, which will bring great benefits to the company and the company. At present, the New Third Board is no longer limited to the Zhongguancun Science Park Unlisted Co., Ltd., nor is it limited to non-listed joint stock companies in Tianjin Binhai, Wuhan East Lake and Shanghai Zhangjiang, but is a national non-listed company limited. The trading platform is mainly aimed at small and medium-sized enterprises. The main difference between the national share transfer system and the stock exchange is: First, the service objects are different. The positioning of the national share transfer system is mainly for the development of innovative, entrepreneurial, and growth-oriented small and medium-sized enterprises; the second is the different investor groups. The investor structure of the national share transfer system is dominated by small and medium-sized investors, while the market of China's exchanges has adopted a stricter investor suitability system. The future development direction will be a market dominated by institutional investors. The general shareholder has a strong risk identification and bearing capacity; the third is that the national share transfer system is a medium of service for small and medium-sized enterprises and industrial capital, mainly for enterprise development, capital investment and exit services, not for trading purposes. (1) Financial support: Different regional parks and government policies are different, and enterprises can enjoy subsidies from the park and the government. (2) Convenient financing: After the listing of the New Third Board (listed company), it can implement private placement of shares, improve the company's credit rating, and help enterprises to raise funds faster. (3) Wealth appreciation: The stocks of listed companies and shareholders of the New Third Board can be circulated at a higher price in the capital market to realize asset appreciation. (4) Share transfer: Shareholders' shares can be legally transferred to improve the liquidity of equity. (5) Transfer board: Once the transfer mechanism is determined, the company can give priority to the “green channel”. (6) Company development: It is conducive to improving the company's capital structure and promoting the company's standardized development. 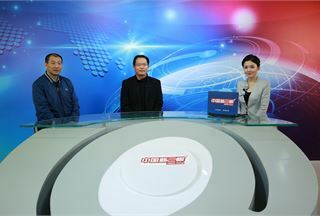 (7) Propaganda effect: The brand of the new three board listed company will enhance the company's popularity. What is the prospect of the new three board? The New Third Board has more than 300 Beijing Zhongguancun listed companies. Policy support and IPO expectations are the biggest drivers of money flocking to the new three board. Among the eight major work priorities proposed by Shang Fulin, former chairman of the China Securities Regulatory Commission, the expansion of the pilot area of ​​Zhongguancun and the construction of a unified over-the-counter OTC market, which is commonly referred to as the “new three board expansion” in the industry, was used as the leading work of the CSRC during the year. first. On the afternoon of August 3, 2012, the China Securities Regulatory Commission said at the news briefing that the decision of the State Council to expand the non-listed joint-stock company was carried out in accordance with the principle of step-by-step promotion and steady advancement of the overall plan. The first batch of pilot projects were added except for the Zhongguancun Science Park. Shanghai Zhangjiang High-tech Industrial Development Zone, Donghu New Technology Industrial Development Zone and Tianjin Binhai High-tech Zone. The intermediary institutions required for listing are securities companies, accounting firms, law firms, and evaluation companies, which are led by the sponsoring brokers. Brokers, accountants and lawyers conduct preliminary due diligence on enterprises and issue listing proposals. After the establishment of the cooperative relationship, the intermediary organization officially entered the market to complete the adjustment, establish the base date for restructuring, the auditor’s audit report was issued, and the evaluation report of the company was evaluated. The company was changed by the limited liability company as a whole, and then the securities firm issued a public transfer specification. The accountant shall issue an audit report and the lawyer shall issue a legal opinion. The broker shall be responsible for reporting to the national small and medium-sized enterprise share transfer company, and the share transfer company shall review the materials. The broker shall be responsible for organizing the company and other intermediaries to respond to the feedback, and then the shares. After the transfer company passes the audit, it can be listed. 1. How does the new three board open an account? How does the new three board open an account? Opening a share transfer account of a non-listed company limited by shares: Investors are required to open a share transfer account of a non-listed company before the share price is transferred. The account opening business of the sponsoring brokerage company can handle the account opening. The account is the same as the share transfer share account used by the investor. Therefore, the opened investor does not need to re-open the account. Individual: People's Republic of China resident ID card (hereinafter referred to as "ID card") and a copy. If you entrust another person to act on your behalf, you must also submit a notarized proxy letter, the ID card of the agent and a photocopy. Account opening fee: 30 yuan per household, 100 yuan per household. The threshold for the attention of individual investors in the New Third Board trading was also clear for the first time. 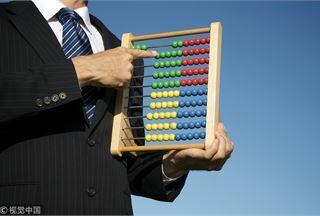 According to the above rules, individual investors need to have more than two years of securities investment experience, or have relevant professional backgrounds in accounting, finance, investment, finance, etc., and require investors to name the market value of the securities at the end of the previous trading day. More than 10,000 yuan. The above rules are too high, and ordinary investors can't participate at all. This threshold is even higher than stock index futures. Some insiders believe that the high threshold has its drawbacks. For example, the number of participating investors is small, and the amount of funds attracted will also decrease. Opening individual investors to participate in the New Third Board transaction will help to activate the new three board market and raise the threshold. It is also to protect the interests of small and medium investors. (1) Type of entrustment: The entrustment of the transfer of share quotation is divided into two categories: quotation entrustment and transaction confirmation entrustment. The quotation entrustment and the transaction confirmation entrustment are valid on the day of the entrustment, and may be revoked, but the transaction confirmation entrustment shall not be revoked or changed once the quotation system confirms the transaction. (2) Entrustment quantity limitation: the number of entrusted shares shall be in units of “shares”, and the number of shares entrusted shall not be less than 30,000 shares, but the amount of shares in the account may be sold at one time when the balance is less than 30,000 shares. . Investors should ensure that there is a sufficient balance of shares when submitting the offer, otherwise the quotation system will not accept it. (3) Entrustment time: The time for the quotation broker to accept the investor's entrustment is from Monday to Friday, and the quotation system accepts the declaration from 9:30 to 11:30 in the morning and from 1:00 to 3:00 in the afternoon. (1) Confirmation of the entrustment and matching principle of the transaction: The quotation system is only identical to the transaction agreement number, the stock code, the purchase price, and the number of shares. The purchase and sale direction is reversed, and the transaction number of the vouchers of the vouchers of the counterparty is matched with each other. Transaction. If the buyer and the seller confirm the transaction, as long as one item does not meet the above requirements, the quotation system will not be paired. Therefore, investors must carefully fill in the confirmation of the transaction. When the bidding system submits the confirmation of the transaction, it should ensure that there is sufficient funds (including transaction funds and related taxes) and shares, otherwise the quotation system will not accept. (2) Transaction price: The transaction price of the share quotation transfer is generated by the negotiation between the buyer and the seller. Investors can contact the counterparty directly, or they can entrust the quotation broker to contact the counterparty to agree on the number and price of the shares. The transfer of shares and the settlement of funds shall be handled on a case-by-case basis, and the shares and funds shall arrive on T+1. The securities registration and settlement institution does not guarantee the settlement, and if the settlement fails (such as the funds of the buyer and the seller, the insufficient shares or the judicial freezing will result in the failure of the settlement), the buyer and the seller shall bear the risk of not being able to settle. When an investor sells a share, he must entrust an agent to buy a quote from the broker. If you need to entrust another quotation broker to sell the shares, you must go through the procedures for share transfer. 1. What is the three board market? What is the three-board market? The securities market can be divided into the issuance market and the trading market according to the order in which the securities enter the market. The issuance market is also known as the primary market, and the trading market is also known as the secondary market. This is not a concept with the main board market, the second board market, and the three board market. The full name of the three-board market is the “agent transfer system”, which was officially opened on July 16, 2001. At present, there are 61 stocks transferred by designated brokers in the three-board market, including delisting stocks such as Narcissus, Yuejinman and Zhonghao. As part of China's multi-level securities market system, the three-board market provides a place for continued circulation of listed company shares after delisting, and on the other hand, it solves the problem of circulation of several corporate legal person shares left over from the original STAQ and NET system history. At present, there are 44 securities companies including CITIC Jiantou, Shenyin Wanguo, Guotai Junan, Dapeng, Guoxin, Liaoning, Minfa, Guangfa, Xingye, Galaxy, Haitong, China Everbright and China Merchants Securities. 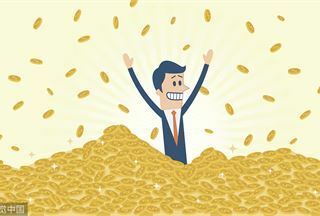 According to relevant regulations, the conditions for securities companies to engage in the transfer of shares of non-listed companies are: the net assets of the recent year are not less than 800 million yuan, the net capital is not less than 500 million yuan, and the business department is not less than 20, and the layout is reasonable. . This condition is not harsh. According to the financial data of 106 brokerages published by the China Securities Industry Association, there are 85-90 brokers that meet the above criteria. Investors who wish to participate in the share transfer transaction must open a special “share transfer account for non-listed companies”. When opening an account, you need to bring your ID card and photocopy, open an account with the securities company's business network that has the qualification to transfer the business, and sign a share transfer entrustment agreement with the securities company. The account opening fee is RMB 30. If the investor of the delisted company wants to enter the transfer share of the agency share transfer system, it also needs to open a “share transfer account of the unlisted joint stock company” and transfer the shares of the delisted company to the special account opened before the transaction can be carried out. . The trading rules of the three-board market are that the share transfer is based on “hands” and the first hand is 1,000 shares. To declare the purchase of shares, the quantity shall be an integral multiple of one lot. A share that is less than one hand can only be sold once. Starting from September 20 last year, according to the quality of the share transfer company, the share classification transfer system was implemented in the three-board market. Companies with net assets of negative and positive are transferred three times a week (Monday, Wednesday, Friday) and five times (Monday to Friday). The transfer entrustment declaration time is from 9:30 am to 11:30 am, 1 pm From 00 to 3:00; afterwards, the centralized matching transaction is carried out by means of collective bidding. At the same time, the price of the share transfer is subject to price limit, and the ratio of price increase and decrease is limited to 5% of the transfer price of the previous transfer date. Investors entrusting the transfer of shares and non-transfers are subject to stamp duty and handling fees. All transfer declarations accepted during the transfer date of the transfer date shall be matched and traded by one-off centralized bidding. At present, many companies that are listed on the SME board have begun to choose to be listed on the “three boards”. This is mainly due to the slowdown in financing activities in the main board market since last year, and correspondingly, the financing cravings of small and medium-sized technology companies are increasing. However, the long process of listing in the main board market is only one of the reasons why companies choose to go public on the “three boards”. Since the second half of last year, the deterioration of the macroeconomic environment has led to a sharp drop in the profitability of a large number of enterprises. Therefore, the low threshold for the listing of the “three boards” and even the advantages of the loss-making enterprises can be listed as another important reason for attracting many enterprises. In addition, due to low cost, short time, and convenient procedures, the attraction of the “three boards” is increasing. The stock transfer system issued 36 warning letters in the first month, and the letter was in violation of 75%. The latest annual report training points! The 2018 annual report should be compiled and disclosed in this way. The new three board 5 index went online yesterday, "four rises and one fell"
The new three-board system is intensively promoted, and the market is expecting incremental reforms. Xu Ming, the general manager of the stock transfer, debuted: comprehensively deepening the reform of the New Third Board, focusing on market access, refined stratification, etc. Xie Geng, Chairman of the Board of Directors: The New Third Board is the market reform in the market. The reform will focus on liquidity, distribution mechanism and refined stratification. The company has issued a document to clarify the situation in which the change of the largest shareholder needs to be convinced.